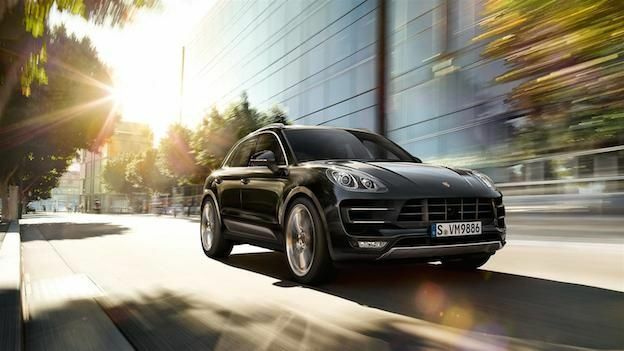 Porsche Macan Turbo: The ultimate SUV? But over time, manufacturers have honed the recipe and created all manner of compact crossovers (see our Best SUVs list) that look good, drive well and can actually go off road, convincing many family hatchback owners to trade in their motors for something taller and more rugged. Scan any affluent street and we bet the large majority of SUVs lining the roadside don't have V6 engines. The Porsche Macan Turbo features a potent 3.6-litre 395bhp unit that delivers a thumping 550Nm torque through one of the slickest 7-speed automatic gearboxes on the planet. Despite the gut-wrenching performance, it can still happily seat five people in leather-clad luxury and it features family essentials, such as ISOFIX rear passenger seats. A lot of the criticism levelled at the bloated Cayenne surrounds its size, slightly awkward styling and the fact it doesn't handle like a product from a company with decades of racing experience. The Porsche Macan Turbo does, its shorter wheelbase and race-ready suspension tweaking ensure it can take corners at mind-altering speeds. That's not to say it is overly harsh on cracked road surfaces, either. In fact, avoid thumbing the Sport button and the Macan Turbo cruises like an executive saloon. All Macans come with an off-road traction control setting that selects optimum throttle response and torque delivery for slippery surfaces. A separate hill descent mode, which takes over braking duties on steep declines, makes traversing some serious hills child's play. The raised ride height and crystal clear reversing camera also make it easy to avoid run-ins with unseen objects. But most impressive of all is the fact that once the Macan has dragged itself out of the mud, Sport mode can be depressed and it will rocket from a standstill to 62mph in 4.8 seconds. Top speed: 165mph. The Porsche Communication Management system is an expensive optional extra - in fact, most things are on a Porsche - but it is extremely good. Bluetooth smartphone pairing, detailed satellite navigation, digital radio and universal audio interface for iPod and MP3 connectivity are all handy features. The bi-Xenon headlights with Porsche Dynamic Lighting System are some of the most powerful in the business and a hands-free power lift tailgate makes loading the beast up with luggage a doddle. Other notable exorbitant optional extras include a digital TV tuner for the centre screen and an enormous panoramic sunroof that transforms the Macan into a faux convertible when fully opened. Scoff all you like at this claim but it's true. While the Macan may feature similar underpinnings to the Audi Q5, Porsche engineers have tweaked the suspension, chassis and steering responsiveness to ensure it handles and performs like the fabled 911. Porsche is so confident in this fact, it exclaimed during the launch of the Macan that it is 'the only sports car in this segment' and after a weekend of B-road blasting, it's very difficult to disagree.